Meyburg, B.-U., J. Matthes & C. Meyburg (2010): Uberwinterungsokologie : Schreiadler und Blutschnabelweber. Der Falke 57: 236-243. This is a popular article written in German, mostly about Lesser Spotted Eagles feeding on Red-billed Quelea chicks in a breeding colony near Mopani camp in Kruger National Park. The author observed eagles opening the quelea nests with difficulty. Young eagles probably learn this from watching adults. The text has great photos of the eagles and of the quelea colony. One of the photos is of an eagle next to quelea nests - a unique sighting since the eagles are shy and careful in the thorny trees which hinder quick escapes. There are also maps of a satellite tracked adult Lesser Spotted Eagle. The mass of quelea is given as 29g, but this should be 19g. The literature gives the mean mass of quelea as 16 - 21 g and there does not appear to be much geographic variation in mass across the vast range of the species. Also in published works on chick growth, the mass of a chick is less than 20 g . Adult quelea lose about 12% of their mass overnight, so they need to feed sufficiently to make up for this every day. 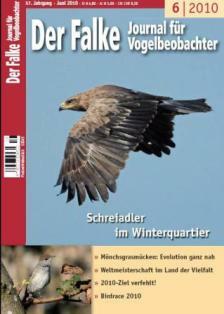 The article may be downloaded at Bernd Meyburg's web here and see more about his raptor research here.